Circle4life werkt samen met UWEP op gebied van de solar programma's die in 2013 zijn opgestart. Naast ondersteuning van de micro financieringsgroepen die UWEP onderhoudt, levert UWEP de solarlampen voor de projecten van Circle4life in ruraal gebied. UWEP is a non-governmental organization that was esthablished in 2007 and operates in 3 main counties, Makuyu, Ithanga and Kiandutu slums (Thika). UWEP operates in the micro-finance institutions sector and acts as an umbrella body that brings women groups together with a view to helping them generate and pool financial resources for onward lending to indivudual members. To date over 1000 women have been able to access funding. Uwep guides them on membership, relevant financial structures and organization. 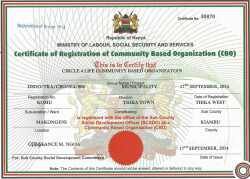 UWEP is driven by the conviction that meager resources which women access in the Kenyan society can be expanded and strategically appropriated if the women are made aware of their communal synergies and are afforded the opportunity to access credit without punitive demands for collateral and prohibitive interest rates. Daarnaast werkt Circle4life samen met Wisdom Innovations, een Amerikaans/Keniaans bedrijf wat energiezuinige jiko's, de zogenaamde Wisdom Stoves, heeft ontwikkeld en produceert. Circle4life betrekt de Wisdoms Stoves voor haar projecten en deze worden onder label van Wisdom Innovations/Circle4life aangeboden. 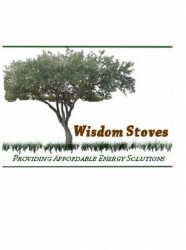 Wisdom Stoves is a Vermont based non-profit committed to providing the people of Kenya with improved indoor air quality, financial stability and an improved quality of life through the distribution of wood gasification cook stoves. Gasification is the process of extracting and burning gases from wood, eliminating smoke and providing the user with a very safe and improved fire, versus the traditional three stone fire. Traditionally, Kenyan women cook on an open three stone fire located on the dirt floor of their homes, which range from mud huts to less common homes built of hand split stones. These fires are built when there is a need to cook, typically twice a day and then extinguished when the cooking is complete. The women must endure the continuous smoke within the interior of the home, often affecting the young children in the home as well. Another option for cooking is the traditional jiko, which is a small charcoal burning stove made of steel with a clay insert. The kenyan families must purchase this charcoal, which typically costs 50 cents per day, 25% of the average daily income of our stove's users. The traditional method of making charcoal in Kenya is very wasteful, more than half the energy literally goes up in smoke. Much of the wood for charcoal is illegllly harvested in national forests, and is a major source of deforestation. The Wisdom Stoves cook stove, the malaika jiko, improves the livelihood of the families in numerous ways. There are many different fuels that can be burned in the malaika jiko, including wood, coffee husks, and corn cobs, with the hope to find many more possibilities. The wood that burns best inside the stove is processed to the approximate size of a matchbook, then placed inside the stove and safely burned for cooking. This wood can be harvested in many places by any member of the family. Instead of needing large pieces of wood such as standard firewood, the children will now be able to pick up branches while walking home from school to provide the family with wood for cooking the evening's meal. This creativity among the family members will eliminate the need to buy charcoal. The malaika jiko burns the gas within the wood and creates charcoal as a by product. The family can then take this charcoal and use it to cook inside of their original jiko as they are very used to doing. Wisdom Innovations has been successful in selling gasification wood stoves throughout Kenya, selling nearly 400 of them in 2012, using limited tools and supplies. While we have already improved the lives of hundreds of Kenyans, we are committed to continuing our efforts to provied financial stability and healthy air to thousands more.